The wave lengths the human eye perceives as color is between 390 to 700 nanometers. In terms of vibrations, those green leafs you are looking at are smashing your pupils at around 560,000,000,000,000 times per second. Pretty amazing what our bodies can do right? But what would the world look like if you could see above 700nm? 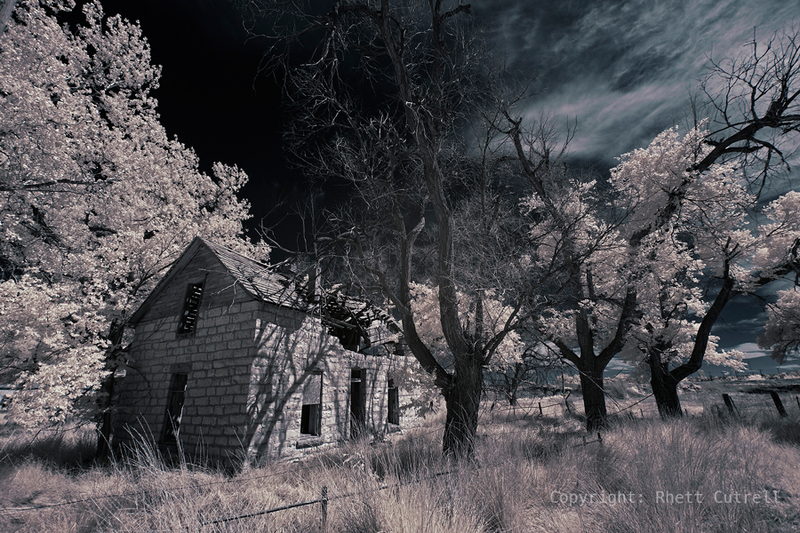 I present to you Infrared Photography. This paradigm shifting style of photography forces you to look at the world in a whole new light and re-evaluate your prejudices on what’s worthy enough to take a photo of. As photographers, we have trained our brains to look at the world in a way that favors how we would take a picture of any given scene before our eyes. What lens would I use? How would I frame and compose this landscape? These are all things our subconscious minds are calculating and IR photography is a good way to break away from the usual thought process. 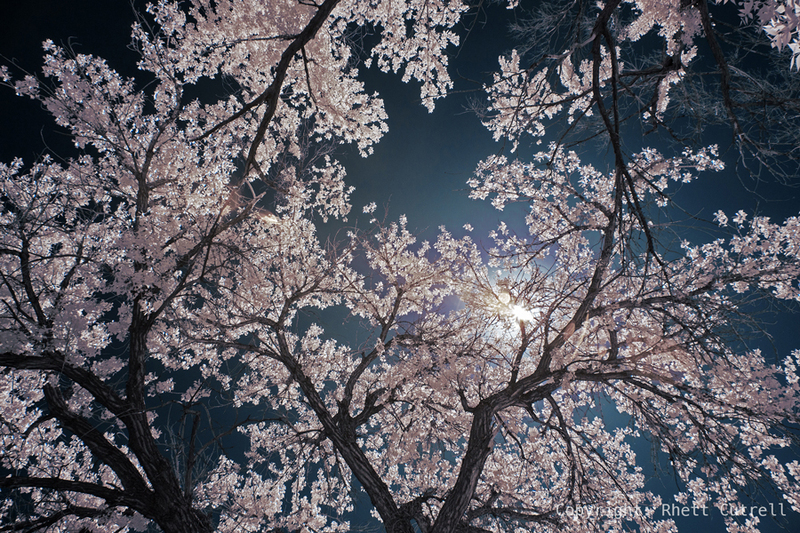 Check out Rhett's incredible Infrared Timelapse video "Shift." Getting Started: Let’s Do This! So how do I get started? Well there are two methods for getting your camera to only record only Infrared light. The first option would be to recycle that old DSLR you are not using any more and sending it to a place like lifepixel.com to be converted. Infrared light is unwanted when taking normal photos and camera manufactures put IR blocking filters in front of our sensors so none of these vibrations get through. 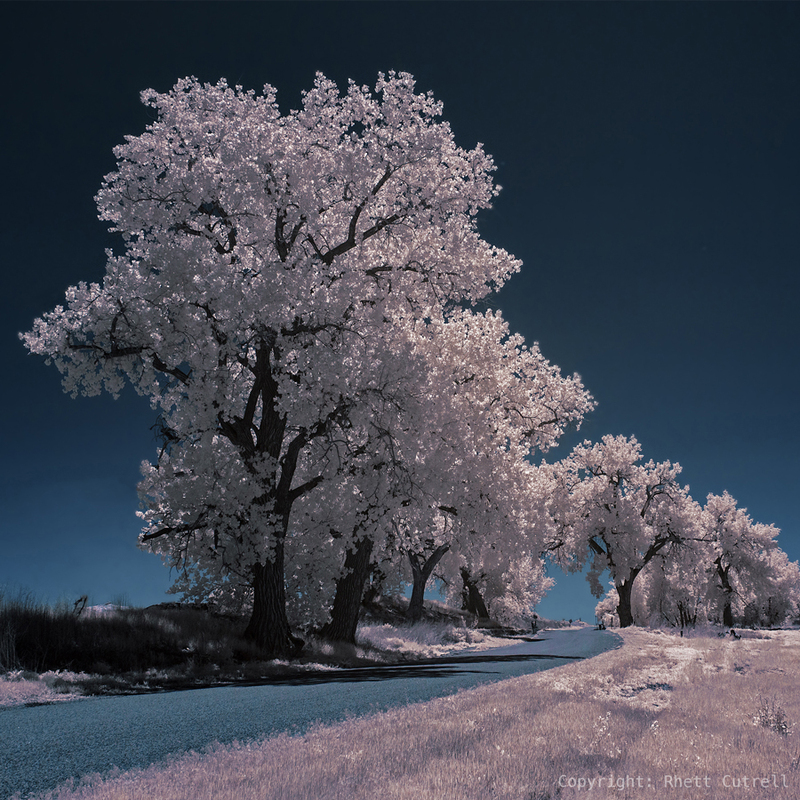 Once these are removed and additional filters added to enhance IR, your camera is good to start taking infrared photos. The other option is to put a filter on the front of your lens that only allows infrared light through. They can be purchased for all different sizes of lens from many different vendors. Using a converted camera is by far the best option. With an IR converted camera you can use your f stop and shutter setting about like you normally would for exposing the photo. You are also able to use your camera’s viewfinder to see if you are in focus and composed correctly… Kinda important. Like I said, the filter blocks all light visible to our eyes so you won’t be able to see anything if you look through the view finder. Composing and focusing your shot is a trial and error adventure. Not to mention you are forced to use a tripod. The filter is so dark you will have to use longer shutter speeds to expose your image properly, and unless you desire a blurry image, you will need to use a tripod to stabilize your shot. If you are not yet willing to commit to purchasing a filter or converting your camera, there is always the online rental option. Lensrentals.com has great IR options and reasonably priced. I have an IR camera: Now what? The most important thing is to have fun. Experiment with taking photos of things you might never would have thought looked good. 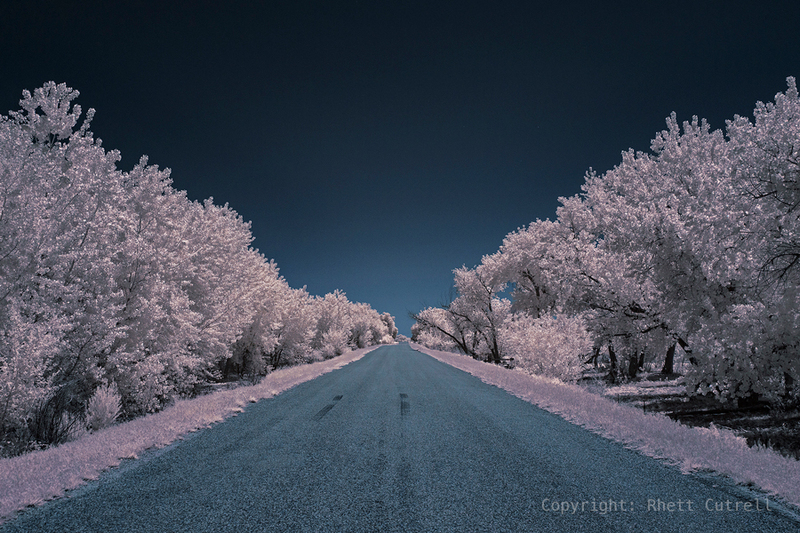 In no time at all, your photography mind set will begin aligning with the beautiful world of infrared and picking your subject matter will seem a little more natural. Here are a few technical things to keep in mind. Shoot in RAW: Enough Said. You will need access to information in your images that gets thrown away if you shoot in a compressed format like Jpeg. The best way to get your images looking in the ball park of what IR photos are “supposed” to look like in the camera before any editing takes place is to do a custom white balance. Find some green grass, or bright foliage that is in sunlight and custom white balance to that. What you are doing is telling the camera, “hey see this tree? I want it to look white” take a close up picture of the tree leafs, then go into the camera menu and select custom white balance using the photo you just took. Dialing in your exposure is fairly similar to how you normally would but here are some things to keep in mind. With either option, lens filter or conversion, the metering on your camera is not going to work like it normally would. It’s best to set all your exposure settings to manual and dial the exposure to about the +1 metering mark. If you desire white foliage, along with a correct white balance, you need have those bushes and trees fairly bright in your image. If they are under exposed, your foliage will have a reddish hue to it. Dial in your exposure so that the foliage is as bright as it can be without clipping. Because cameras and lens use color channels to operate the auto focus, the AF functions don’t work so well when taking IR photos. Disable AF and focus manually. Post Processing: The Fruits of Your Labor. There are about 1 million things you can do in photoshop to enhance your image but here is one tried and true process for making your IR photos looking top notch. If you white balanced correctly then you will see in Adobe Camera Raw that the WB setting is as low as it can go 2000k and the tint is all the way to the left -150. These are the settings you want. If you shot in Jpeg you won’t have access to this. The next step to getting that “IR look” is to swap the red and blue channels. Open up the channel mixer and select the red channel. The Red setting in the Red channel is +100 (obviously). Change it to 0. While still in the red channel settings, change the blue setting from 0 to +100. Now do the opposite in the Blue Channel. Change the blue setting from +100 to 0 and the red setting from 0 to +100. At this point your image should be in the ballpark but continue editing to your hearts content. Think of IR like this… The things that are reflecting infrared light will appear white to my camera, and things that reflect no IR light will be black. Everything in between will be red in hue. Like a grey scale image tinted red. It’s fun learning what things will and will not reflect IR light. Some things you thought might look good because of their vibrant colors or interesting patterns are merely dull and textureless, but that scraggly old shrub or beat up house you never paid any attention to is now suddenly alive and full of energy. As photographers, it’s energy that we are trying to capture that drives us, and IR photography has shined a whole new light on energy and our perception of it. Don't forget to check out Rhett's Infrared Timelapse Video "SHIFTS"
Follow Rhett on Instagram, Facebook and visit his website. Perseid Meteor Shower: What Is It?